A comprehensive and practical text and the perfect starting point for this subject ... 'Is this system secure?' seems, on the face of it, a straightforward question. Yet how one arrives at an answer is a process which poses a wide range of more complex questions which require a basic understanding of security mechanisms. Questions, such as: * Should protection focus on data, operations or users? * Whilst taking cast iron measures to build in security at one level, what does one do to prevent attackers gaining entry from a lower level? Starting with basic definitions and concepts, the first section of the book goes on to outline the mechanisms located at the heart of the computer system, mechanisms which provide the basis for techniques used in all other branches of the system. The second section examines the security features found in operating systems such as UNIX and Windows NT, catalogues security breaches, and introduces the topic of security evaluation. A third section is devoted to issues associated with distributed systems, such as network - and Web - security and considers cryptography as an essential technique for such environments. The final section of the book is constructed around database security, discussing problems in multi-level security, and examining security problems in specific settings. 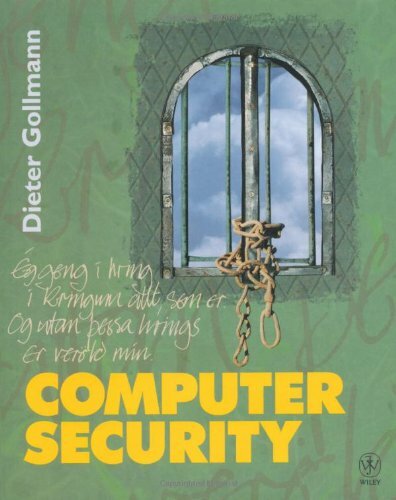 Written for self-study and course use, this book will suit a variety of introductory and more advanced security programmes for students of computer science, engineering and related disciplines. It meets a real need for a comprehensive textbook on the subject. Technical and project managers will also find that the broad coverage offers a great starting point for discovering underlying issues and provides a means of orientation in a world populated by a bewildering array of competing security systems. * Should protection focus on data, operations or users? * Whilst taking cast iron measures to build in security at one level, what does one do to prevent attackers gaining entry from a lower level?